I'm starting to get really annoyed by the use of flashbacks in film. 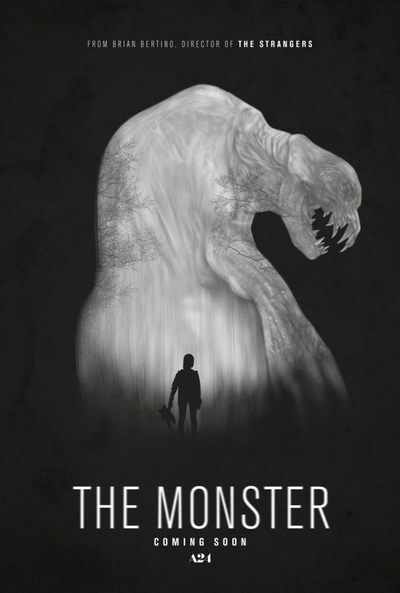 2016's The Monster (my latest review) has them in the form of an alcoholic mother battling with her vexing daughter. Do said flashbacks form an adequate background story for "Monster?" Somewhat. Am I to a degree, still annoyed? Oh for sure. I'm also starting to get exasperated by the use of scary movie cliches. The Monster has them by way of a car stalling after hitting an animal, heavy rain that won't stop, and the protagonists being stranded in the middle of nowhere. Does "Monster's" director (Bryan Bertino) film these scenes admirably and with a sense of style? Sort of. Am I again, still exasperated? Yup. Anyway, The Monster which stars Zoe Kazan and Ella Ballentine, clocks in at just under eighty-five minutes (ninety-one if you count the credits). 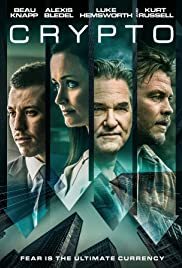 Watching it, I realized that its budget is relatively low. That's a good thing because "Monster's" box office take is currently a paltry $62,953. Bryan Bertino (The Strangers) is a manageable filmmaker but he shoots "Monster's" kill sequences in such heavy darkness. It's hard to tell what's really going on. Heck, I could've used some night-vision goggles if you know what I mean. Now The Monster is indeed a flick about a monster. This slimy savage has long sharp teeth, a hunchback disposition, and a standard growl. It appears similar to the mucky gremlin from Twilight Zone: The Movie, the aliens from Aliens, or the basement demon from 1983's Amityville 3-D. It terrorizes Kazan and Ballentine's characters yet doesn't show up till forty-five minutes in. The effect I guess, is to evoke early Ridley Scott, Spielberg's method with Jaws, or something Hitchcockian. Sadly, it's all a bit underwhelming. Questions I asked myself during The Monster: Is this ugly beast who lives in a Canadian forest, a product of chemical waste disposal? Maybe. Was it dropped by a spacecraft into the Earth's banal atmosphere? Sure, why not. Finally, did it emerge from a meteorite all angry and bloodthirsty? I guess so. Truthfully, I don't think an audience member will ever know. Furthermore, I don't think the filmmakers themselves even know. I guess that concept wasn't discussed during the production meetings. In veracity, I didn't feel scared or frightened while viewing The Monster. It has no real jolts and or jump back moments. That's probably because I've seen all these types of creature features many times over. The raw acting by Ballentine and Kazan helps a little but their troupers are portrayed in such a downtrodden way. Ella Ballentine plays Lizzy and basically she is reprising her role from Standoff (another 2016 release). She's the sad and solemn girl who gets neglected and suffers through a crappy childhood. Zoe Kazan channels Kathy, her tattooed, lower-class mother. Startlingly, Kazan looks more like Ballentine's big sister than her emotionally distraught mommy. The two of them could come off as heroines but they more or less project a couple of people destined to be on The Jerry Springer Show. Ouch. In conclusion, The Monster is a rental that doesn't make any quantum leap in the horror genre. It's not deficient but you'd be better off checking out Charlize Theron's 2003 crime drama of virtually the same name. "Monster's" boisterous rating: 2 stars.